Mumbai: Hungama has launched a new, and its third Hindi original show, ‘Bar Code’. A drama about two friends who enter the nightclub business together but let their differences and resulting egos drive a wedge between them. As bitter rivals in the glamourous world of Mumbai’s hip nightclubs, their enmity proves dangerous not just for them but for others around them as well. Their hatred for each other is further fueled by their entangled lives that adds to the friction in their dynamics with one another and their extended circle of friends. The show will be available on Hungama Play, Hungama’s video-on-demand platform. Hungama will leverage its distribution strengths to reach an audience of over 50 million in India and 10 million in more than 190 countries. 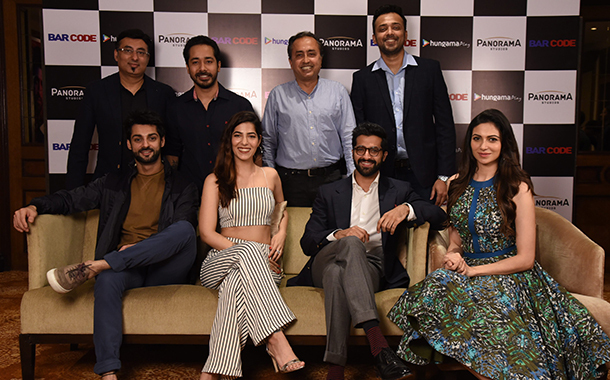 Bar Code will also be available to stream through Hungama Play on Vodafone Play, Idea Movies & TV, Amazon Fire TV Stick, Shareit and other Android TVs. Additionally, through Hungama’s association with Xiaomi, consumers will also be able to watch the show via Hungama Play on Mi Video and Mi TV.